Hope dangles by a silken thread. When the head of the Araneidae clan is found poisoned in her nest, her eldest daughter, Lourdes, becomes their clan’s new maven. If her clan is to survive, she has but one choice: she must marry before her nest is seized. All she needs is a warrior fierce enough to protect her city and safeguard her clansmen. Such a male is Rhys the Cold. Born the youngest son of an impoverished maven, the only things Rhys has to his name are his sword and his mercenary reputation. His clan is starving, but their fondness for the flesh of fellow Araneaeans makes them unwelcome dinner guests. Torn between loyalty to his clan and fascination with his future bride, Rhys’s first taste of Lourdes threatens to melt the cold encasing his heart. Amid the chaos of battle, Lourdes’s sister disappears and is feared captured. Lourdes and Rhys pursue their enemies into the southlands, where they discover an odd plague ravaging southern clans as it travels north, to Erania. Determined to survive, Lourdes will discover whether she’s worth her silk or if she’s spun the thread by which her clan will hang. Warning: This book contains one mercenary hero with a biting fetish, one determined heroine who gets nibbled, and an answer to the age-old question, “What does dragon taste like?” Matricide and sibling rivalry are available upon request. The house special is revenge, best served cold. The Aranae Nation series is probably one of the stranger things I've tried to wrap my head around recently. Are they part dragon, part spider, part vampire? The people are definitely something 'other' and that is what made me instantly enrapt in A HINT OF FROST. Each clan seems to have different traits that set them apart from others. Some eat flesh, others spin silk, and so on. It's rare a fantasy setting can be so intricate, yet vague and keep me interested but Edwards did an amazing job. As far as the plot goes, the blurb covers it pretty decently. A marriage of convinience between two very different people brings lots of surprises, twists, and naturally an eventual love connection. But the getting there is plagued with misconceptions, secrets, and duty. There were a few flaws to the plot that had me raising an eyebrow and wondering how the characters could have really pulled certain things off. But aside from one that fantasy readers might instantly find problematic, I didn't find it so hard to 'just go with it'. 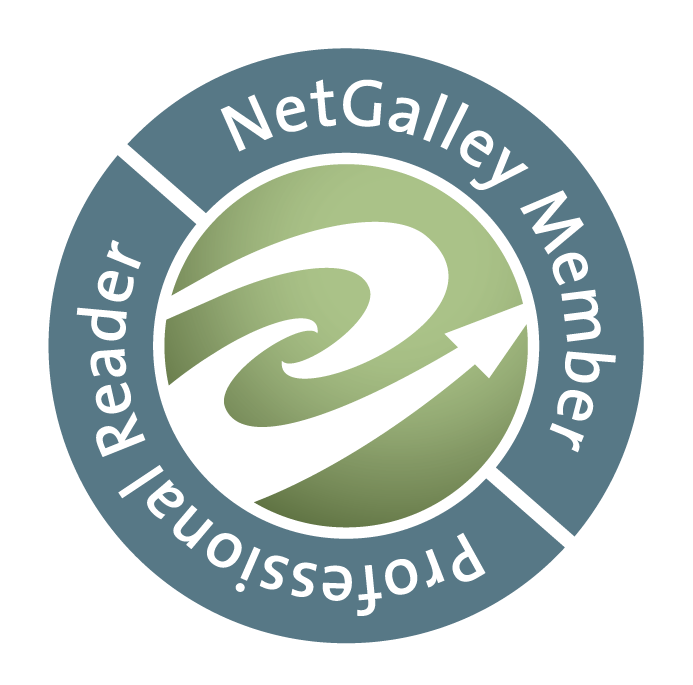 It's an entertaining journey tale with a romantic union at the center, for a romance reader, there's really nothing to dislike in that regard. Rhys is quite alpha—something readers of my reviews know I don't generally like—but not brutish which made me really like him. Lourdes was a little tougher to like as I found her a tiny bit Mary-Sue-ish but she's not without things that make her fate something you'll care about either. 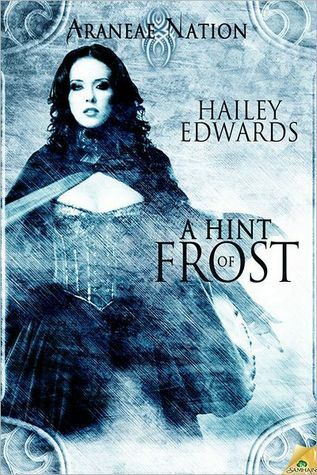 Though I didn't quite love it, A HINT OF FROST is a read I would recommend to fantasy readers who like romance and vice versa. It's just the start of a series which means more adventures in a world building set I personally found exciting, I definitely want to read more of it. be sure and check out A FEAST OF SOULS which released today!